A two weeks long festival, celebrating the best of Sligo, aims not only to bring in visitors but to encourage Sligo people to get out and enjoy themselves. 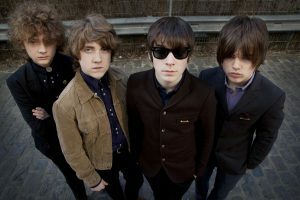 GIG: Cavan rock band The Strypes will be among the acts performing at The Sligo Festival. Photo by Jill Furmanovsky. Inspired by the hugely successful Galway Arts Festival, The Sligo Festival will celebrate Sligo’s unique art and culture with a series of events running from Sunday, July 24 to Saturday, August 6. The festival will provide a broad spectrum of theatrical and musical performances and other activities, both indoors and outdoors, and is a collaboration from many groups in Sligo including, Tread Softly, The Summer Festival, Sligo Races, amongst others. But it is about “celebration, fun, craic and enjoying yourself”, according to the organisers. It also seen as filling the gap left by the absence of the Fleadh this year. Among the confirmed events are three days of concerts in the Stephen’s Street car park, including one of Kieran Quinn’s hugely popular theme nights, gigs from seasoned Galway group The Stunning and the fast rising Cavan rock band, The Strypes. There will also be a series of outdoor performances from the Blue Raincoat Theatre Company and Speakers Corners to name just a few. For more on this story, see this week’s Sligo Weekender newspaper – in shops now or subscribe to our digital edition. More information on our homepage, www.sligoweekender.ie.